Nutrition information taken from http://www.gnc.com/total_lean/GNCTotalLeanLeanShake25.html?cgid=total_lean#start=2. Price per serving calculated from a package price of $39.99 for the Vanilla GNC | Total Lean® with 16 servings per package. Accessed 4/21/17. BBB Rating accessed 1/24/19. Meal replacement shakes have become a popular way to shed the body of excess fat. They are used often by individuals hoping to reach their weight-loss goals because they are easy to make, are great tasting, and provide the body with nutrients that are easy to digest. When combined with good dietary habits and workout programs, users can create a caloric deficit which will likely result in weight loss. GNC Lean Shakes are not an exception when it comes to helping you shed some weight. They have the proper ratio of food nutrients required to assist in weight loss. Additionally, they have been developed to help users stabilize their cholesterol levels, build leaner muscles, and lower their blood sugar levels. This supplement comes with high amounts of soluble fiber which helps it rank high on the Glycemic Index. Its manufacturer, GNC, is a highly reputable company that has been in business for over 70 years. It’s known for its expertise in the food and nutrition industry and has developed a number of its own popular, branded products. They include bars, powders and shakes that offer users a chance to slim down and lose weight without hurting the body. Numerous complaints have surfaced about the lack of consistency in this supplement. Some customers complain of a gritty and chalky aftertaste in the mouth after taking this supplement. More importantly, sweeteners, which are added for taste, are bad for weight loss and this shake has 4 grams. Moreover, it uses the controversial ingredient sucralose which makes it very sweet and not so healthy. Each serving contains about 200 calories, which isn’t too bad for a meal replacement shake, but if you wish to add other ingredients to your shake then the amount if calories per serving may be an issue. Adding fruits and veggies, nut butters, milk, seeds and other ingredients will add more calories. While many meal replacement shakes offer less calories per serving, there are also many that have more per serving, so the Total Lean shake falls in the middle. There are three types of protein used in the making of this supplement. They are milk, whey isolate, and whey protein. These proteins are blended to produce a high-quality product. For example, whey protein is essentially a side product of milk and cheese production. In this supplement it can be broken down into three different forms; concentrate, isolate, and hydrolysates – all of which have minimal fat content. They are also low in both lactose and cholesterol. This high amount of protein keeps you fuller for longer periods of time, allowing your body to burn its existing fat stores instead of burning off what you have just eaten. Through this, fat content in your body is reduced, especially in areas such as the stomach and thighs. Part of a healthy and balanced diet, which is supported by this supplement, are its 21 different vitamins and minerals. They include vitamin E, which protects against neurological disease, diabetes, and Alzheimer’s. Thiamin, which promotes a healthy nervous system and cardiovascular system. Niacin and chromium help boost your levels of good cholesterol and regulate blood sugar levels. Vitamin B6 helps with heart health, liver, eyes, skin, and hair. Vitamin B12 and zinc help the immune system, boosts energy, and are great for skin health. Calcium is great for bone health while iron increases energy and fights anemia. Magnesium comes in to prevent coronary heart disease and insulin resistance. Selenium helps in reducing inflammation and protects against prostate cancer in men. Potassium helps promote bone and muscle health and keeps blood pressure in check. GNC combines a number of dietary and soluble fibers with hunger blocking power. With a total of 8 grams of fiber per serving, this product helps you to maintain the feeling of being full. However, this is also dependent on the number of daily physical activities you engage in which could increase your appetite. GNC features a patented, fiber-rich blend, also known as the carb blend which increases your feeling of fullness and satiety. This makes it a quality appetite suppressant and helps you to be able to wait longer between meals. The carb blend has carrageenan, maltodextrin, xanthan gum, cellulose gum, oat bran, and resistant starch. Many of these fibers are naturally occurring and offer a powerful soluble fiber. One that is extracted from oat bran supports normal, healthy blood glucose levels, especially when consuming high-glycemic carbohydrate food such as pastries, bread or pasta. The overall sugar content per Total Lean shake is 4g, which is about average. Ideally, a diet shake will have as close to no sugar per serving as possible. Although the 4g of sugar per shake is not as high as some other shakes (including Isagenix and Shakeology), it has more than other shake brands (like 310 Shake). Another problem is that they are using an artificial sugar substitute, sucralose, which has received quite a lot of negative press lately along with other artificial sweeteners as having potentially negative health effects. In fact, recent studies have linked this ingredient to serious health problems, even cancer. 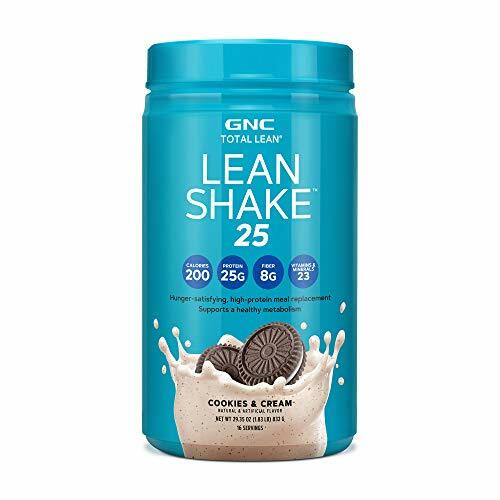 One canister of GNC Total Lean Shake contains 16 servings, and sells for $39.99 on the company’s website. That equals out to about $2.50 per shake. 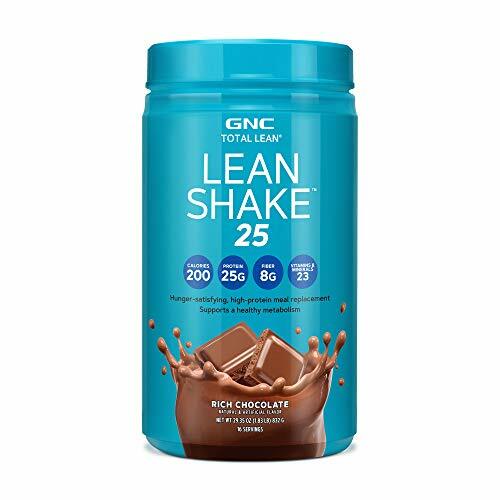 GNC Total Lean and 310 shakes are among the most popular weight loss supplements. Consumer reviews indicate that these supplements can effectively lead to weight loss, but how do the two shakes fair in comparison to each other? Below is a comparison review of 310 shakes vs GNC Total Lean Shake. Meal replacement shakes currently offer the most effective weight loss solution. The weight loss industry is filled various supplements all which are touted as effective for weight loss. 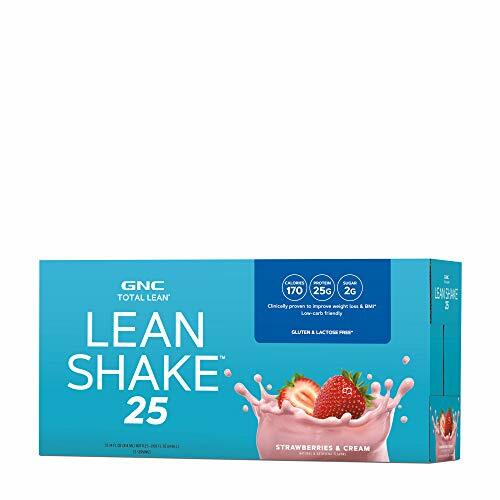 GNC total lean shake and shakeology are two products which are renowned for their efficiency and long-lasting results when it comes to weight loss. The weight loss industry has rapidly changed and the evolution of technology has led to the development of more efficient and effective weight loss products. Instead of doing tiring workouts and implementing expensive meal plans, meal replacement shakes can help individuals who want to lose weight to effectively do so. Some of the best meal replacement shakes include Herbalife and GNC total lean shakes. Herbalife is a great weight loss supplement and one thing that makes it to stand out is that it features herbal ingredients. GNC Total Lean Shakes, on the other hand, is a perfect weight loss product and a great supplement that help users to achieve lean and well-toned bodies. 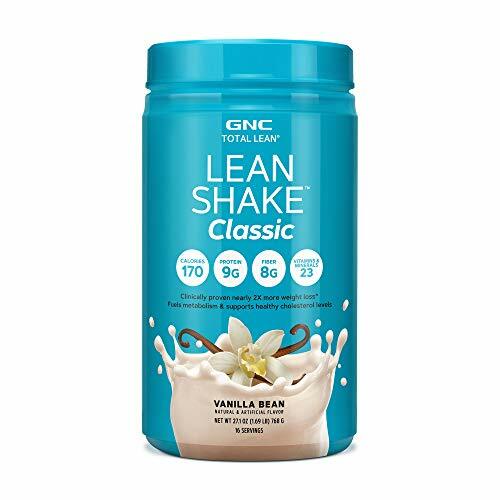 To help you understand which one is the best weight loss supplement between these two shakes, below is GNC Total Lean Shake vs Herbalife Shake comparison review. Although implementing a proper diet or a workout program can help to accelerate weight loss, nothing beats the effectiveness of a meal replacement shake. These low-carb, low-calorie supplements can efficiently spark the process of thermogenesis by creating a calorie deficit. A calorie deficiency in the body helps to spark cell metabolism which leads to the conversion of fat to fuel. However, finding the best meal replacement shake that suits your needs is a challenging task since the weight loss industry is already saturated with different brands which are selling supplements. GNC lean shake and Idealshake are among the top-rated shakes currently due to their effectiveness. The supplements act as hunger inhibitors which accelerate metabolism and eventually leads to weight loss. Below is a comparative review of these two shakes which tries to outline how their fair against each other. Reducing the number of carbs and calories in meals offer the quickest and most effective way of losing weight. These factors are the reasons as to why meal replacement shakes provide the best way of aiding weight loss. GNC lean shake and Isagenix are two of the most purchased weight loss supplements on the market currently. The shake offers some good vitamins and minerals but lacks other ingredients like superfood or enzyme blends that would make it a real super-star shake. It also contains sucralose which has been linked to potential health issues. Those who practice good dietary habits with consistant workouts are sure to attest that this supplement is a good weight loss shake. 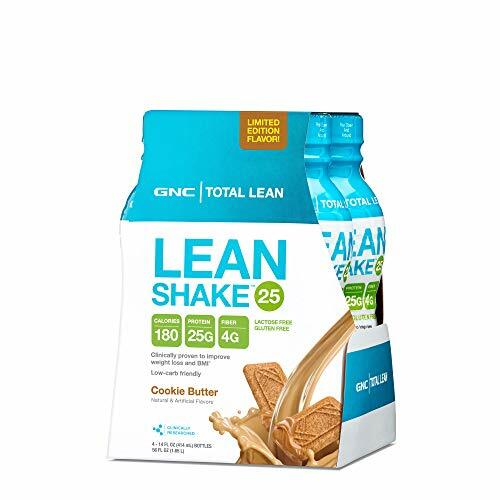 Based on our research on prices, GNC Total Lean may be the best option for someone who intends to get fit a small budget. The shake’s ability to blend well with water and offer a good consistency seemed to be enjoyed by most consumers.